Ilir Ibrahimi is the Managing Partner of the ProCon Group. He has served as the Vice President and Chief Operating Officer at American University in Kosovo (AUK), and also as an Adviser on International Relations to the Minister of Economy and Finance of Kosovo on a contract with Bearing Point. Before returning to Kosovo from the United States, Mr. Ibrahimi worked as an International Broadcaster for theVoice of America, Albanian Service. From 2004 to 2006, Ibrahimi worked at the National Albanian American Council in Washington D.C. Mr. Ibrahimi is also active as an independent analyst on political developments both in Kosovo and in the international arena and is a regular contributor in the major national TV networks and also writes regular columns in the national newspapers. He has served in several Boards in Kosovo including the American Chamber of Commerce, where he currently served as the Vice President of the Board, and National Qualifications Authority. He earned a B.A. Government and International Relations from George Mason University in Virginia and a Master’s Degree in Political Science from the same university. Hakif Gashi started his business career in 1992 by first joining his family’s business where he served as a junior sales manager. In 1992, he initiated the opening of a new company called Meridian with the main focus on distribution of food and beverage products. He started as the main sales manager for Meridian and over the years he has been continuously promoted in positions from sales manager to sales directorto brand marketing manager to general manager for the retail sector. In 2005, after the re‐structuring of Meridian Corporation, Mr. Gashi was elected as the CEO of Meridian. His main tasks included the supervision and support of the board of directors, developed relations with well‐known foreign and domestic vendors in the food and beverage industry, re‐designed business processes, etc. With an Executive MBA at the Bled School of Management, from 2009 to present, Hakif continues to be with Meridian where now he serves as a Chairman and is responsible for business‐level discussions and decisions involving business vision, mission, and strategy. 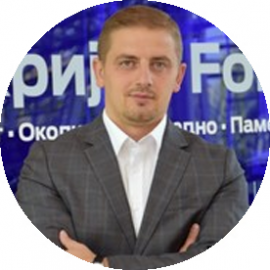 Moreover, Mr. Gashi is responsible to project company’s future development and profit objectives and at the same time serve as a bridge between the Board of Directors and the Board of Shareholders. Outside Meridian, Hakif has been member of the American Chamber of Commerce Board of Directors during 2005‐2006 and is a member of Prishtina Rotary Club. In 2014, Mr. Gashi was elected as Vice President of American Chamber of Commerce in Kosovo and in February 2015, Hakif was appointed as the AmCham President of the Board of Governors. Visar Ramajli is a successful entrepreneur and proud manufacturer. He is a co‐owner and CEO at KIVO L.L.C., which is a plastic manufacturer, exporting 100% of its products to Europe. He has constantly expanded his investment. 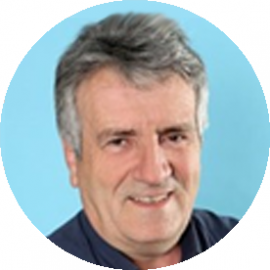 He is also a co‐owner of VM3 shpk, marketing and video producing company. Visar is also one of the co‐owners of CACTTUS. He has an MBA degree in Engineering Management from the University for Business and Technology. and in the American University as well. Ardiana Bunjaku was part of many other philanthropic initiatives as President of the Board in the humanitarian organization “Nëna dhe Fëmija”. Almost two decades of experience, mostly in a diverse and dynamic international environment on leadership and management. Some of the prominent initiatives and projects where Mrikë was involved are “Rescue Brown Bears”, reduction of biodegradable plastic bags usage, Brezovica project, international Initiative ˜Lets Do it Kosovo”, and since 2015 on the Private Sector Development Grant Scheme which aims on financially supporting start-ups, small and medium enterprises, entrepreneurship growth and creating jobs in Kosovo regions. 18 Years in Automotive business starting from May 2000 in Volkswagen Group, Porsche Macedonia, Porsche Kosovo and from 2009 in Ford Motor Company representative in Kosovo – Kosova Motors JSC. manager for Albania and Kosovo; British American Tabaco as Sales Manager for Albania and for Ministry of Defense in Albania as Commander of the Autonomous Unit of the Air Force Headquarters and Coordinator for Partnership Goals. He graduated from Turkish College ‘Mehmet Akif’ in Tirana to continue at the Higher Academy of Military Aviation in Italy, and at the same time he also graduated from the Federico II University for Political Science/International Business. years he has worked in the largest bank in Kosovo, Raiffeisen Bank as Regional Manager and Senior Credit Officer, whereas currently he works in the largest oil and gas distribution company "HiB Petrol" Ltd, and the owner of the 5‐star "Emerald Hotel" as a General Manager with a staff of over 1,000 employees. He is also a lecturer at the University "Haxhi Zeka" in Peja engaged in Agribusiness faculty. Ms. Spahiu has an extensive experience with International Organizations and European Union Missions in Kosovo and FYR of Macedonia. She served in various Senior Legal Advisory roles with the Senior Mission Management. Her 17 years of professional career in International Missions, equipped her with the aptitude of understanding and interacting effectively in multicultural environment and advising the mission management on intricate legal and managerial issues. 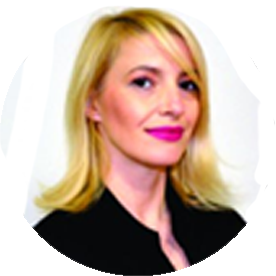 Ms. Spahiu holds a Law Degree from University of Pristina, and a Master’s Degree in Business Administration from the University of Sheffield, UK. 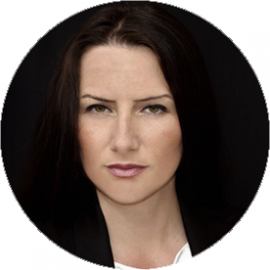 She is Certified Professional Coach from the Institute of Professional Excellence in Coaching, Washington D.C. and the International Coach Federation, as well she is a certified Leadership Trainer from the Ken Blanchard Companies. 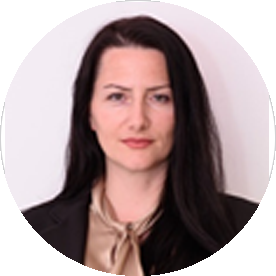 Ms. Spahiu is representative of the U.S based company: The Ken Blanchard Companies for Kosovo and Albania, and the CEO of Advoco Solutions LLC. Ms. Spahiu is also a Leadership and Management Instructor at the AUK/RIT. Agim has 15 years of international business experience, mostly in the management and leadership area. Agim has led lots of projects and initiatives in the past and is leading local subsidiaries of the world largest software company (Microsoft). The nominee currently has two positions at Contour Global: General Manager of Contour Global Kosovo and Vice President of Development & M&A for Europe. 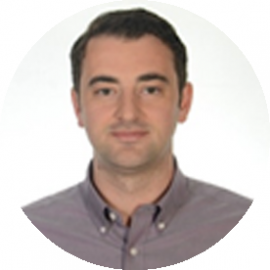 Previously, Liridon Mavriqi has worked as Investment Director for ND Group and in the Government of Kosovo as adviser to multiple ministers of economy. Liridon has a MBA from Yale University.